When Pedro Sugundo, who leads the El Peñon Church, heard about the HOPE Coffee ministry in May of this year, he encouraged his church in Taulabe and another church in nearby Carrizal to live out the gospel message. Marianna is a believer who has attended the church, but her two sons were not believers in Jesus. So the church members began to pray about how they could demonstrate the love of Jesus Christ to her two sons. Soon a plan came together where both churches decided to provide the labor and transportation to prepare the land for a new house that was desperately needed by the family. HOPE Coffee partnered with them to provide the funds to purchase the wood for this new house. 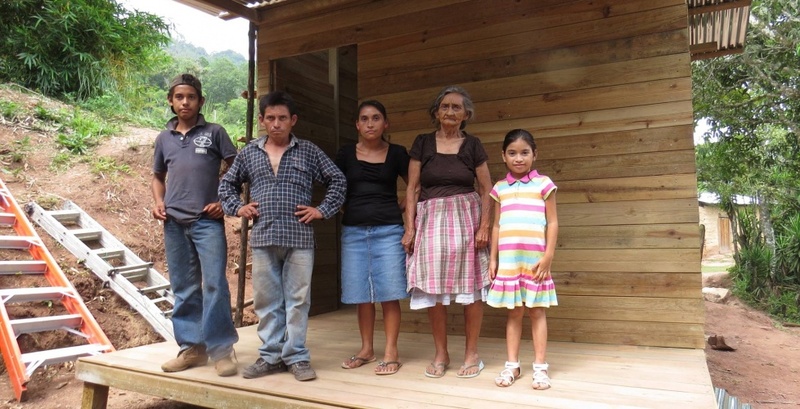 On July 4th, the team came together to build this new house for Marianna’s family. Please pray for her two sons to trust in Jesus as they listen to the local believers from these churches share about the gospel. Thank you for your partnership with us by drinking HOPE Coffee so that the Honduran church could meet this need and share Jesus with this family!